Check out recent news and upcoming events from San Diego and beyond. Have an article to share for our next News & Views post? Please email us – talk@bikesd.org. Enjoy! John Lamb from CityBeat considers the possibility of dockless bike share in San Diego. We’ve looked through DecoBike’s corporate partnership agreement with the City of San Diego and don’t see anything preventing other bikeshare companies from operating in San Diego. Dockless bike share provider LimeBike has been operational in Imperial Beach since September. LimeBike also launched in National City in November – “National City, which approved the bike-share as a six-month pilot program, is LimeBike’s 30th market in the U.S.”. UC San Diego is also considering dockless bikeshare operators for its Bike Share Services RFP. New bike lanes will be coming to University Avenue before year’s end, as the City fills the Uptown Bikeway gap created by the Hillcrest Business Association. 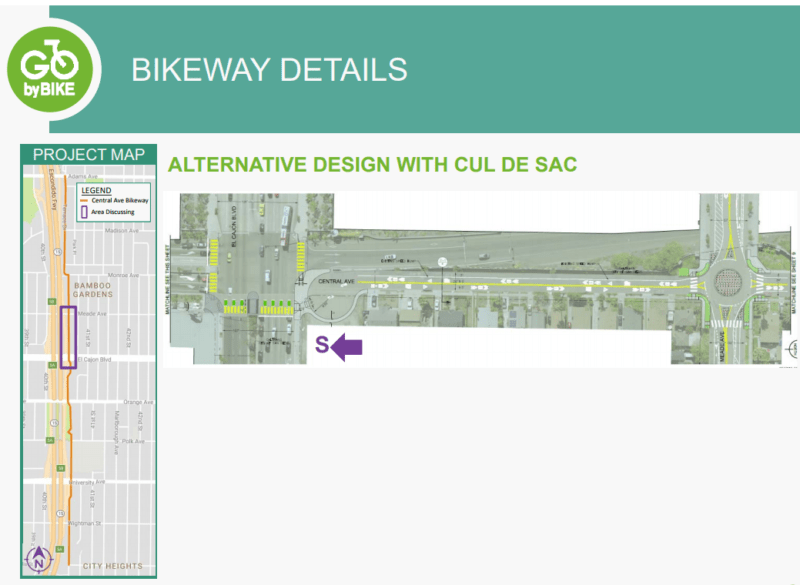 The first segment of SANDAG’s Uptown Bikeways, which were funded in October 2012, have been delayed to 2020. These bike lanes on 4th and 5th Ave are also under attack by the Hillcrest Business Association and Hillcrest members of Uptown Parking District. We wrote in July about other delays to SANDAG’s Bikeways. Abuse of the California Environmental Quality Act (CEQA) delayed bike lane projects for years in San Francisco and was employed by Uptown Planners Chair Leo Wilson against City of San Diego bike lanes. But California regulators have overhauled CEQA and “hope the new rules will spur more bike lanes and housing near transit”:Under the current interpretation of the law, developers have to measure their project’s effects on car congestion — something that often stymies the installation of bike lanes because the removal of car lanes could tie up vehicles.The new effort would force projects to estimate the number of miles cars will travel on nearby roads. Since bike lanes won’t increase vehicle trips, and could reduce them, regulators hope the new rules could ease their development. The new proposal also would apply to residential construction in an effort to make it easier for developers to build pedestrian or bicycle friendly projects if they can show their projects will limit car travel. Ten rules for cities about automated vehicles (AVs) – Urbanist Jeff Speck, author of Walkable City, pens an excellent article about the potential impacts of AVs on cities. He concludes with a great shout out to the most efficient transport on the planet – bicycles. A fantastic read. 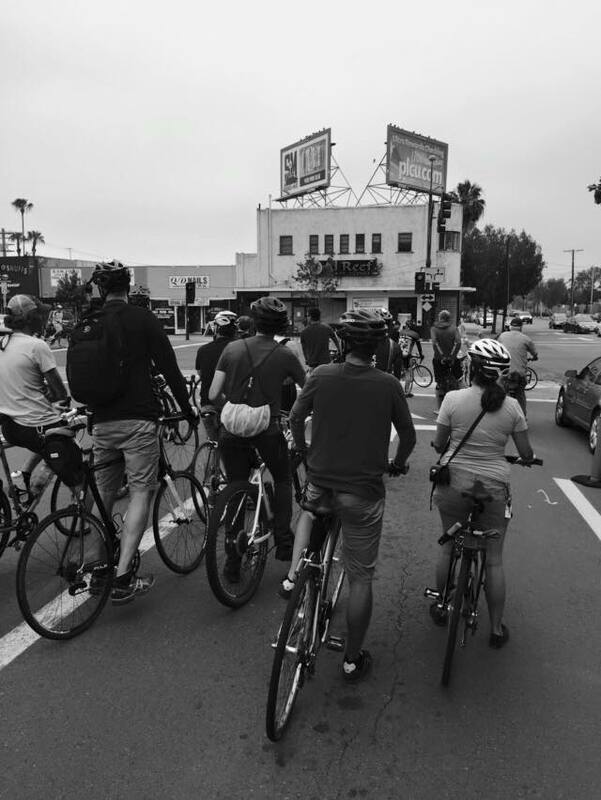 BikeSD Member Meetup in North Park – Your quarterly chance to connect with other BikeSD members, chat with board members, or learn more about the organization if you’re not already familiar. Event will be at North Park Beer Company (3038 University Ave, San Diego, CA 92104) on Tuesday, December 5, with doors opening at 6 PM, a short program at 7, and concluding at 9. This will be an opportunity to thank former Executive Director Sam Ollinger for her great work with the organization and meet Interim ED John Anderson. Please RSVP here and spread the word! BikeSD Member Meetup in Pacific Beach – In 2018 we want to do a better job of connecting with the bike community across our fair city. We’ll start with our quarterly Member Meetup being held in Pacific Beach. Mark your calendars for March Tuesday, March 6, from 7 – 9 PM and stay tuned for details. The Border to Bayshore Bikeway project will connect Tijuana to San Diego Bay. Next community meeting will be Wednesday, December 6, 2017 from 6-8 PM at Imperial Beach Library (810 Imperial Beach Boulevard, Imperial Beach, CA 91932). RSVP via Facebook here or get more project information on the SANDAG project website.